David Ingram is the founding Headmaster of Dulwich College Shanghai Puxi. Opening with 99 students in August 2016, the school has grown steadily and has quickly established itself as one of the most innovative international schools in Shanghai. Born in the United Kingdom, David followed his family overseas as a teenager living in the United States and the Virgin Islands. His international upbringing provided David with first hand experience of both the US and UK education systems and an invaluable global perspective. Graduating from the University of Swansea, David completed his Master's at Oxford Brookes University and took up the role of Research Officer at the Institute of Education in London. Discovering a passion for education, David returned to Brookes to complete his PGCE. He started his teaching career in the UK with early positions of responsibility as Head of English and Acting Deputy Head. In 2000, David took his first international teaching position at the Alice Smith School in Kuala Lumpur. He was promoted to Head of Year and then Key Stage 2 Leader before being appointed Deputy Principal of Kellett School in Hong Kong in 2004. 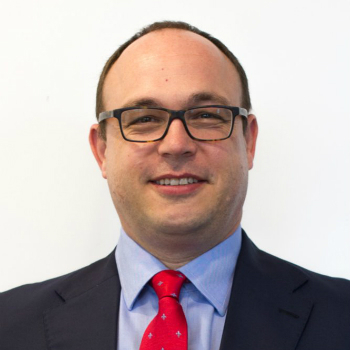 In 2008, David became Head of Junior School at Tanglin Trust School in Singapore; a position that he held for eight years leading the school from good to outstanding. During this time David qualified as an Ofsted inspector with Tribal Education, inspecting schools in the United Kingdom over a period of two years. David enjoys public speaking and is a member of Toastmasters International, competing in events across Asia. He has spoken at a range of educational leadership conferences in the UK and Asia on the subjects of curriculum innovation and school improvement. David has an MA in History specialising in the history of childhood and education. He conducted the research for Education for the Nation by Professor Richard Aldrich and has written articles for Optimus Education. David is married to Wee Kean. They have two children whom they are raising bilingually.